It is common to read movie reviews before opening night, or book reviews before they hit store shelves, but not so common to review a product that hasn’t been created yet. But we can report on it here because the product we are announcing is “your own extra virgin olive oil or vinegar”! And it is simply a personal combination of your favorite extra virgin olive oil or vinegar, a bottle design of your choosing and a custom label that makes it all your own. Whether you are looking for a completely unique holiday gift or celebrating an important event in your life like a wedding, a new baby, a birthday, you can mark the event in a very personal way by creating your own brand and sharing it with others. We’ve already helped many business customers announce new retail events and store openings, celebrate product launches and corporate events. 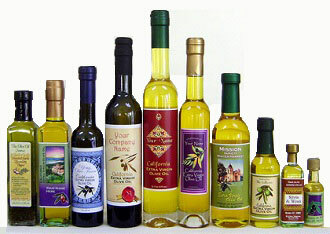 We work with restaurants to create private label olive oil and balsamic products that match their culinary style. The Olive Oil Source makes it easy with countless customizable label designs, suitable for all kinds of occasions, small quantity order requirements and personalized help in the development and design of your brand. Best of all, you don’t have to manage an orchard, harvest olives, or press them into award-winning olive oil. We’ll take care of that too. So, if you are ready to commemorate a special event or just ready to become everyone’s new best friend with your own brand of extra virgin olive oil, visit The Olive Oil Source’s Custom Labeled Gourmet Products to get started.